How is life treading you? This weekend it's Coachella-weekend.. You know Coachella right? Every celebrity is coming to Indio, California to join this festival. 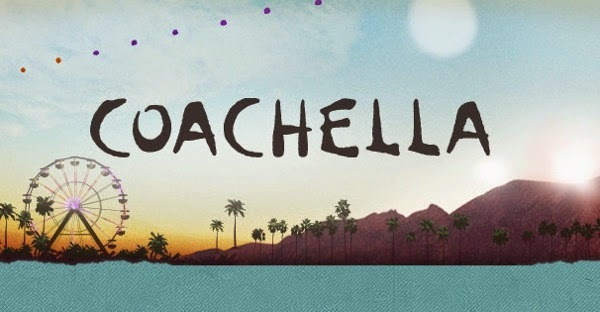 Coachella has an incredible line-up with artist from all over the world. So when you go to Coachella partying is guaranteed. Although partying is the main goal for people to visit this amazing weekend, the outfits everyone wears have a important role too. Many fashion-bloggers get inspired by these festival looks. I can't wait to see how everybody looks and to get inspired by these amazing outfits. Of-course I'm a little jealous of everyone who goes to Coachella, because this is a festival that attends my festival-wish-list for 2 years now. That doesn't mean I'm wishing everybody who got a ticket an amazing weekend, full of joy, fashion and good music! I collected some of my favorite Coachella-outfits to get inspired for the next festival I'm going to attend and creating some really cool festival-looks. Are you gonna go to Coachella? and what are you going to wear to your next festival? Thanks for your sweet comment! Gonna check your blog out asap! another cool post from you dear!! Thank you, so sweet of you! I'm gonna check out your new post right away! I'm soooo jealous of everyone who gets to go to coachella! I love getting inspiration from all of the outfits I see though! me too! Really want to go.. I love all the outfits that people wear to festivals like Coachella.. Gonna check out your blog! Love them too.. Can't wait to go party when I see these outfits! Thank you for visiting, will definitely check out yours! Thank you.. I will check out your blog, always interesting to see new inspiring blogs! I wish I could be there! Awesome post! I didn't know it was this soon! Me too, so jealous of everyone who is going! yeah almost time to see all the amazing outfits! thanks for visiting, gonna visit your blog asap! Thank you, gonna check out your blog! Seems like booty shorts are a must :) Love look #4! Yeah look number 4 is great! I really love the shorts! Gonna visit your blog asap..
love love this post! your blog is so amazing..keep up the amazing work!